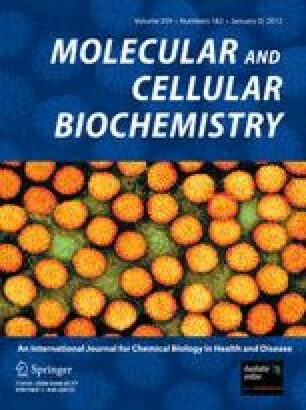 This paper investigated the effects of ox-LDL on PCSK9, and the molecular mechanisms of PCSK9 siRNA-inhibited apoptosis induced by ox-LDL in human umbilical vein endothelial cells (HUVECs), to clarify the role of PCSK9 in atherosclerogenesis. HUVECs were incubated with ox-LDL for 24 h. The apoptosis was observed by Hoechst 33258 staining. The expression of PCSK9, LOX-1 mRNAs and proteins was detected by RT-PCR, western blot, respectively. The PCSK9 siRNAs labeled with fluorescence were transfected into HUVECs by Lipofectamine 2000. After transfection for 24 h, cells were treated with ox-LDL for 24 h, HUVECs apoptosis transfected siRNA was detected by Hoechst 33258 staining and flow cytometer. The expression of Bcl-2, Bax, caspase3, 8, 9 was detected by western blot. The activity of caspase3, 9 was detected by kits. Our results showed that apoptosis of HUVECs and the expressions of PCSK9 and LOX-1 were upregulated secondary to induction by ox-LDL in a concentration-dependent manner. However, ox-LDL-induced HUVEC apoptosis and PCSK9 expression, but not LOX-1 expression, were significantly reduced by PCSK9 siRNA. These results demonstrate a linkage between HUVEC apoptosis and PCSK9 expression. Furthermore, we detected the possible pathway involved in apoptotic regulation by PCSK9 siRNA; our results showed that the expression of Bcl-2 decreased, whereas that of Bax increased. In addition, ox-LDL enhanced the activity of caspase9 and then caspase3. Pretreatment of HUVECs with PCSK9 siRNA blocked these effects of ox-LDL. These findings suggest that ox-LDL-induced HUVECs apoptosis could be inhibited by PCSK9 siRNA, in which Bcl/Bax–caspase9–caspase3 pathway maybe was involved through reducing the Bcl-2/Bax ratio and inhibited the activation of both caspase9 and 3. This work was supported by grants from the National Natural Science Foundation of China (30700325) and Key Project of Educational Department of Hunan Province(10A105) and Project of Science and Technology Department of Hunan Province(2009TP4057-2, 2010TP4008-2), and by the Aid Program for Science and Technology Innovative Research Team in Higher Educational Institutions of Hunan Province.